MORE than 15,000 books have been donated to Pilar de la Horadada’s International Library by the expatriate community. The majority of these books are in English, while some are in other European languages including French, German and Norwegian, etc. 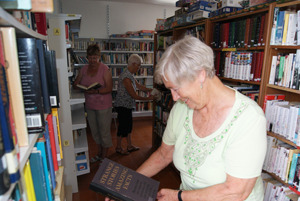 The library, located in Pinar de Campo, has nearly 700 users and has 11 English volunteers working there. This initiative began in 1990 when British born Leticia and her husband began collecting English books from friends in order to exchange them with other people. Shortly after the asked the town hall for space in the library.